As Aristocrat likes to do they've brought the popular Big Ben casino game into the virtual world for your enjoyment! Big Ben features 25 paylines and $0.01 minimum bets as well as providing an extraordinary background full of UK cultural staples such as the Union Jack telephone booths and the clock tower itself. Read our full review below. Please retype the code above. Want to be kept up to date with the resolution? This website is 100% independent and is NOT endorsed, approved or affiliated with Aristocrat Technologies Inc, Aristocrat Technologies Australia Pty Ltd, Aristocrat Leisure Industries Pty Ltd, Product Madness Inc or any of the other games companies featured on this website. The Big Ben ™ trademark is owned by Aristocrat. The use of this trademark on this website does not imply any affiliation with or endorsement of this website by the trademark owners. This website is not endorsed or approved by Aristocrat™. Please see full Terms and Conditions and read our full disclaimer. Big Ben is a fun and exciting poker machine from Aristocrat Gaming. It features a British-theme complete with Union Jack flags, red telephone booths and double deck busses. It is certainly a unique theme for a poker machine, but that’s what has made it so popular. Players certainly enjoy being able to be transported to a whole new world each time they spin the reels of this poker machine, which is available at online casinos and land-based gambling destinations. Now, you can play this great pokie online at gambling sites and via this demo version, which is an external link, sourced from NYX Gaming Group - an amazing game producer who have a whole load of other games online besides Aristocrat. If you like to play Aristocrat games for free then you should also check out the Heart of Vegas app - it's great fun! 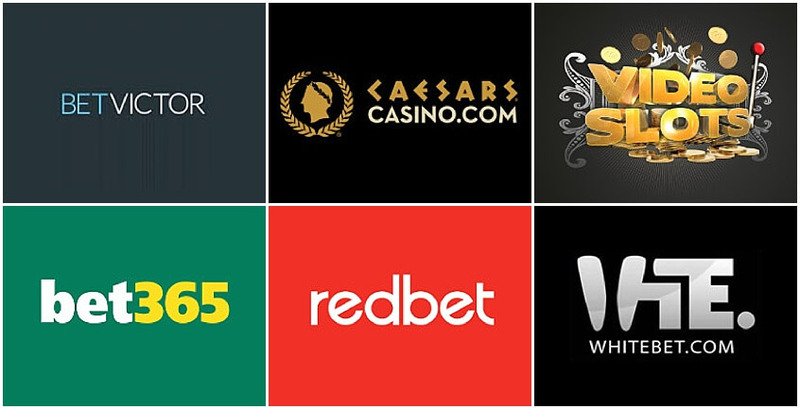 This online pokie features 25 paylines, so players have plenty of different wagering options. As a penny slots game in the in the land-based gambling world, however, it is highly recommended that players make the maximum wager in order to maximize their chances of winning. If you’re happy to wager a bit more than 1c or 2c on a payline, then Big Ben also offers up several other denominations: 4c, 10c, 20c, 40c, 50c, $1, $2 and $. As such, Big Ben pokies from Aristocrat should appeal to both penny pokie players and high rollers. The classic format of this online pokie will certainly appeal to land-based pokie players. If you’ve played this game in a club or casino, then you will definitely enjoy playing it online. However, if you’re more into modern online pokies – you will also find this game engaging. It has enough bonus features to keep modern gamers entertained, as well – while featuring a simple format that will appeal to classic players. If you’ve played Big Ben at a land-based casino or club, you will likely have played a version with a progressive jackpot. In that version of the game, a jackpot is displayed at the top right of the screen, which builds as each player places wagers. The jackpot is triggered when three wild symbols (British guard) appears three times on a single payline. Since it is a penny slot machine in the land-based market, the jackpots do not often exceed $100, but they are still a generous bonus on top of your own winnings. In this version of Big Ben from Aristocrat, there is no progressive jackpot. However, there is still the chance to trigger hugely generous wins. The British guard is still the wild symbol, and five wilds on the screen will trigger a generous prize worth 300 000 credits! In some cases, this may be even more generous than the progressive jackpot that is available in land-based versions of the Big Ben poker machine. Big Ben features a free spins bonus round, which offers players the chance to win generous cash prizes without spending any of their own money. When this round is triggered, the player is given 15 free spins. They cannot be re-triggered, but all wins are doubled during this round; so, you are in for some great cash prizes from this fun bonus round. There would be no point in calling this game Big Ben if the landmark clock did not play an important role in the gameplay. In Aristocrat’s Big Ben online pokie, Big Ben offers up a very generous payout. If the Big Ben symbol appears on reels 1 and 5 at the same time, then the player wins a huge 500x payout on their wager. The great thing about this bonus is that it is very flexible. The bonus symbols do not have to appear in any particular position on the reels. So long as they appear anywhere on reels 1 and 5, the huge bonus payout will be awarded. Over the course of 50 spins, we were able to cash in on some very generous prizes. While wagering the maximum, we were able to accumulate several hundred credits. We trigger the Big Ben bonus once, which offered up a generous payout worth 1200 credits. Unfortunately, we did not trigger the free spins round – but, you may have more luck! Big Ben is a great example of what makes Aristocrat poker machines so popular in both the online and land-based gambling worlds. The company knows how to take a successful traditional poker game and adapt it for online audiences. This is why the online Ben Ben game offers more denominations for a diverse gaming experience for a while range of players, while the land-based penny machine is targeted more towards casual players at local pubs and clubs. With 50 years of experience designing great poker machines and casino games, Aristocrat certainly knows what it is doing when it comes to attracting players. You’ll find Big Ben in a wide range of clubs and pubs across the country, as well as at a select few online casinos in the digital gaming world. Aristocrat online games are not available to play for real money everywhere in the world - they are available for real money play only in regulated European and North American territories only. We recommend the social app Heart of Vegas ™ for those of you in territories where Aristocrat games are not yet available in real money. This website is 100% independent and is not endorsed, approved or affiliated with Aristocrat Technologies Inc, Aristocrat Technologies Australia Pty Ltd, Aristocrat Leisure Industries Pty Ltd or Product Madness Inc (together referred to as ‘Aristocrat’ hereafter). Please read our full disclaimer. The "Big Ben ™" trademark is owned by Aristocrat. The use of this trademark on this website does not imply any affiliation with or endorsement of this website by the trademark owners. The game that is linked to on this page is published and hosted by an external site - NYX Gaming Group (Västra Järnvägsgatan 7, 111 64 Stockholm Stockholm Reg. no. 556539-2882), it is intended as an external reference to the review information listed on this page. The linking to this NYX Gaming Group URL does not imply any affiliation with or endorsement of this website by either NYX Gaming Group or Aristocrat. Please read our full terms and conditions that relate to launching this externally hosted, third party game. The NYX Gaming Group hosted game linked to on this page can only be played in demo mode. It cannot be played for real money or to obtain credits for Aristocrat online games. Online Pokies 4U bears no responsibility for the accuracy, legality or content of the linked to external game or for that of subsequent links within that game. Please Contact the external site for answers to questions regarding their content.